This is a big year for our year 6s. It is the year they finish their Primary journey and begin a new exciting adventure in their chosen High school. 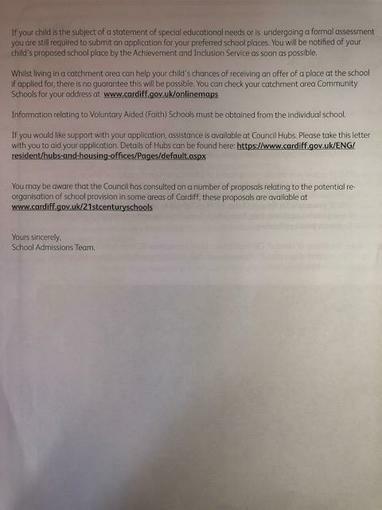 Parents can make this transition much easier by applying in plenty of time, giving 5 preferences, and liaising with us to ensure the applications are done on time. Last year Mrs Turner helped many families with the process and all of our new year 6 parents are welcome to book an appointment to come in and apply for high school with our guidance. Applications are open from 24th September and close on 19th November so need to be done very soon. 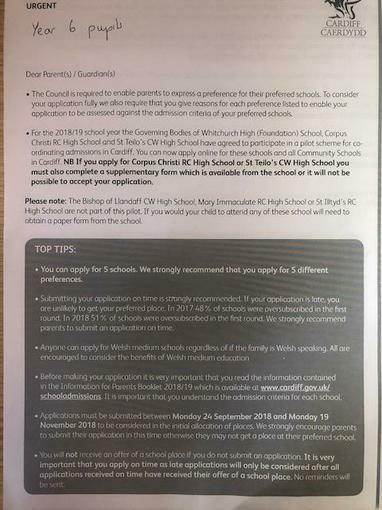 There is a link to the Cardiff Admissions page on the year 6 class page and in important information for parents.